Sadly, some things you can never do again. 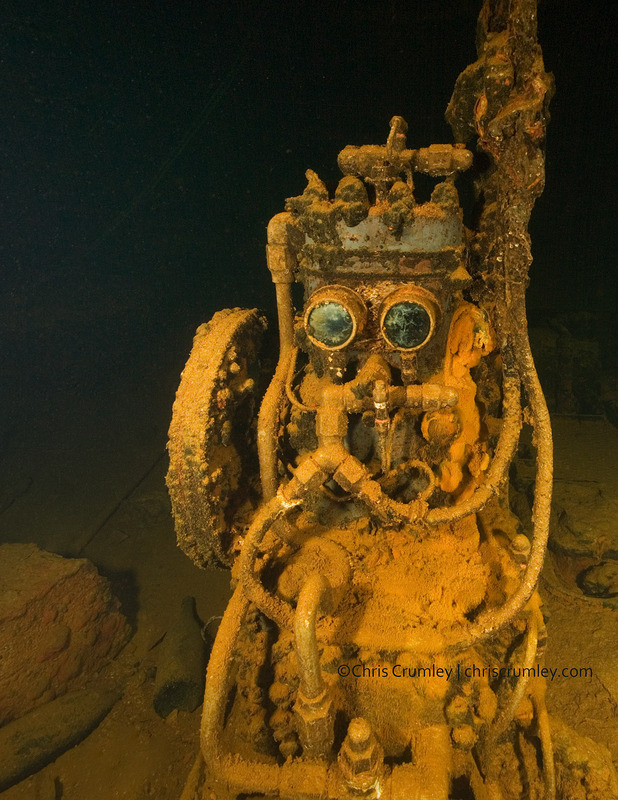 This is an example; a pump deep in the bowels of the sunken ship Fujikawa Maru in the Pacific (Truk Lagoon, Island of Chuuk, Federated States of Micronesia). Affectionately called "R2D2" because it reminds us of the droid in Star Wars. The wreck is collapsing and it's not safe in this area of the shipwreck now.